There are 50 ways to create a scattergram image from a .csv file that has results from testing level of hearing function in clinical trials. MatLab, Python, Excel, scripting... you name it. But John Oghalai, Professor of Otolaryngology, Pediatrics and Neurosurgery did not need 50 ways—he needed one way that every otolaryngologist can use easily and consistently. He sent a short email to Stanford webmaster's list. I replied. Publication "A new standardized format for reporting hearing outcome in clinical trials outlined detailed requirements. This is how this project came to life. 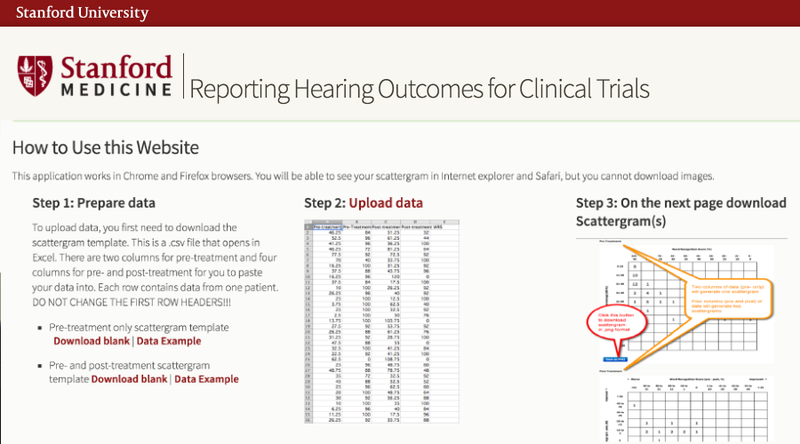 This website creates scattergrams to report clinical hearing data that meets the AAO-HNS minimum reporting standards in three clicks—upload data, submit, download .png image that is ready for any publication. In this project we got an amazing proof of Occama Razor principle. We, developers, got very excited, we created extended system that accounted for multiple manuscripts, multiple images in a manuscript, multiple authors per manuscript, multiple manuscripts per author and could analize trends for all of be above - beautiful system with one caveat. Interface was too cumbersome. Doctors had to register and set passwords and add publication information before they could get the ONLY thing they wanted - scattergram image. Two weeks before launch we had to strip down all the layers and rebuild site as it is now - anonymous user gets final result in three clicks. We were sad. 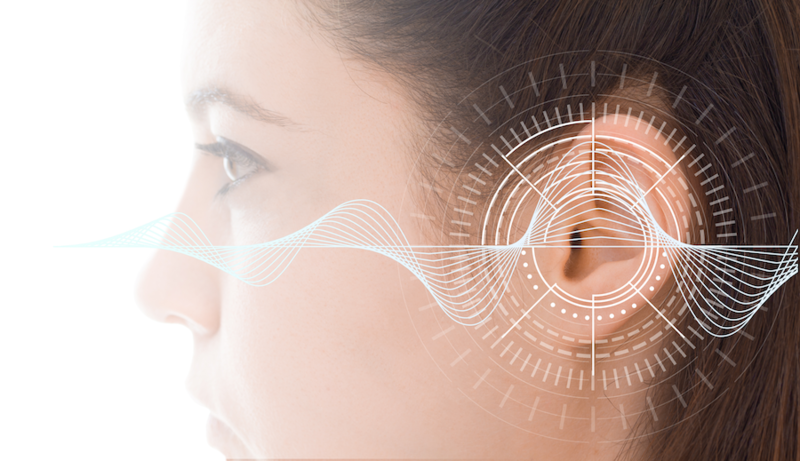 We felt that a great potential to not only provide standardized reporting method but also make this site a tool to collect data on hearing function in clinical trials throughout the country is not being used. To our happiness, after a year we got a new request to give each scattergram a unique id. This way all the data that makes it to actually being published can be easily identified and analyzed. But that will be chapter three in this story. Some day.